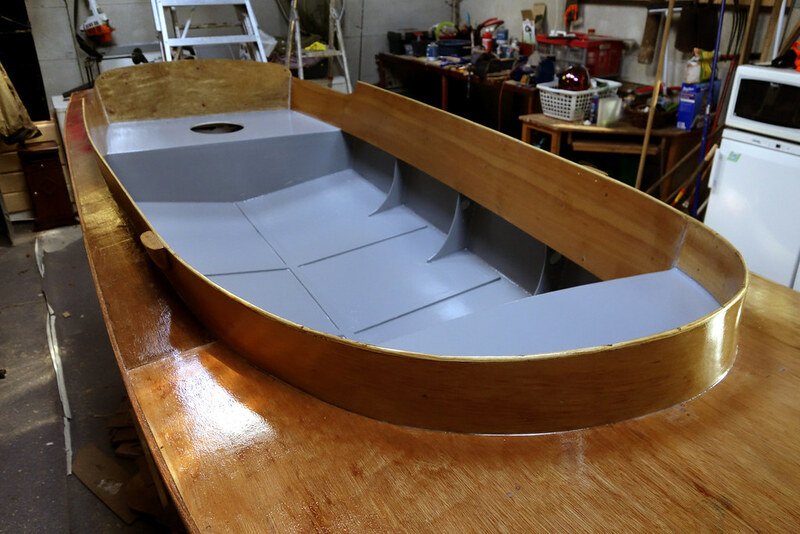 I've finally started painting the boat. Allthough the deck is far from perfect, I decided it would be nicer to show the wood instead of hiding it with paint. So the deck and coamings are in clear varnish. Interior in grey. Before that I reinforced the cockpit bottom with some slats. Still working on some deck fittings, the cleats mainly. 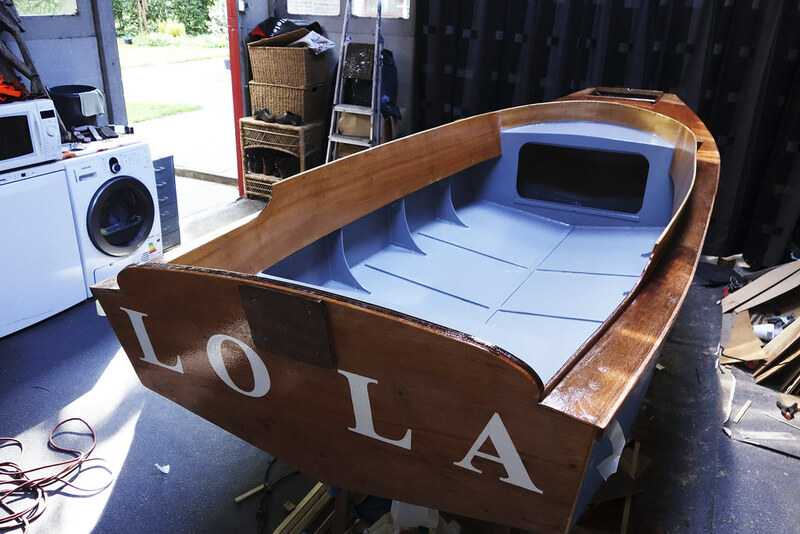 Plan is to launch the boat in two weeks!